Covista Holsteins has been dispersed. Being a part of the Canadian Holstein and dairy industry has been a rewarding occupation. Our interest and friendships remain. 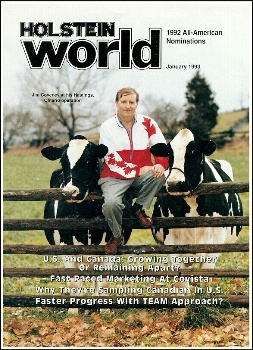 It is interesting to see that Covista Ty is still Canada's top bull for mammary improvement and # 20 on the LPI list. Special thanks to those who have bought stock from us and the herds that made elite genetics available for us to purchase. 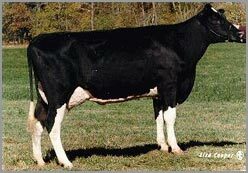 I look forward to World borders reopening for Holstein cattle. from Tami (dam of Ty and Teamster), Elusive Mountain and Tasha. 3 star brood, Gold Medal, Dam of Merit. 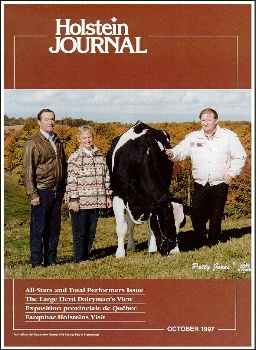 Tami is the dam of Covista TY ST. Canada's top sire for udder improvement three of the last four proofs. She is also the mother of De-Matt Rudolph Teamster the # 8 TPI bull in the USA. Thank you for visiting Covista on the Web!